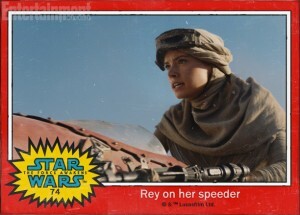 Rey has undoubtedly won the hearts of millions of Star Wars fans the world over. 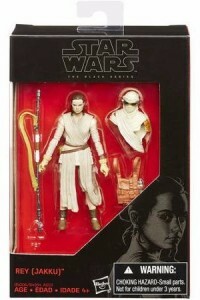 So much so, that action figures and other toys based around the character are very difficult to find. 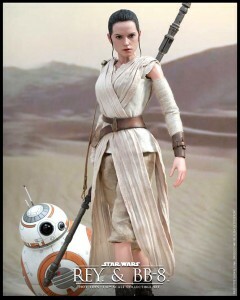 She’s definitely one of my favorite characters in the Star Wars universe, and I have a number of Rey toys that have been release so far. 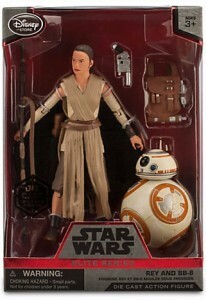 A couple of nights ago I saw people complaining on social media about the lack of Rey action figures. They claimed that they’d asked people at Target who said they’d “never stocked” any Rey toys. 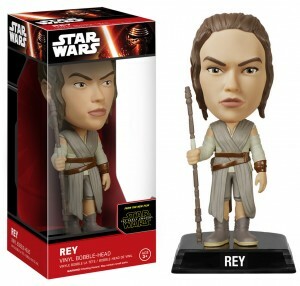 Without doing proper research (a little bit of searching) or using logical reasoning (these toys have been available since September 4, 2015 when they were released on Force Friday to HUGE fanfare), they simply believed that Disney hadn’t produced any Rey action figures. That is simply not true. I’ve not only got six different Rey toys of my own, but I know for a fact that there’s a seventh and an eighth, and likely more to come as more films in this saga trilogy are released. So, here’s what’s been released and where you might be able to find them! The links in this post contain affiliate links and I will receive a small commission if you make a purchase after clicking on them. This helps pay for server costs. 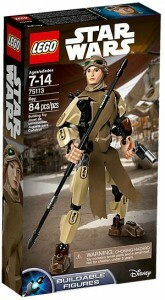 This action figure was released with the initial launch of Star Wars: The Force Awakens action figures. 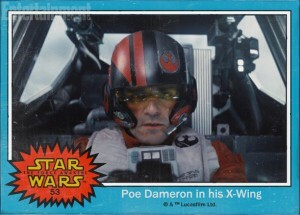 Also launched on Force Friday, this is a highlight of my collection. I’d never seen this one before I starting making this list. It looks awesome. These are awesome. 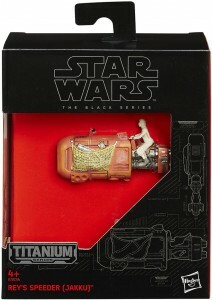 Very detailed like the Black Series but made with metal and plastic. 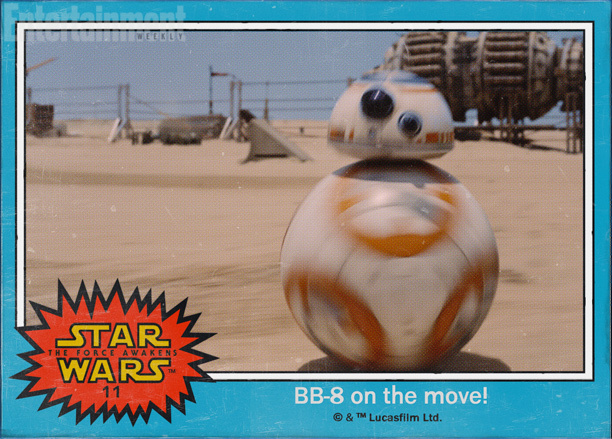 Rey is 6″ and BB-8 is 3 1/2″. Here’s a new edition of the above action figure. 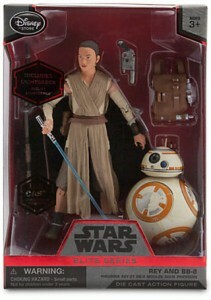 “In collaboration with Lucasfilm, we present the Star Wars Elite Series Rey and BB-8 die cast action figures. 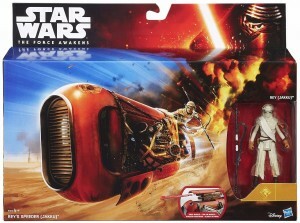 The resilient survivor comes complete with blue lightsaber! 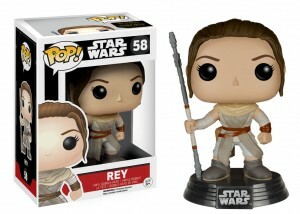 Add her and the spherical droid to your collection for epic adventure.” Rey is 6″ and BB-8 is 3 1/2″. 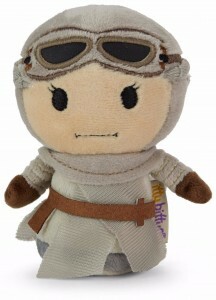 Itty bittys are a line of plushies that you can only find at Hallmark stores. 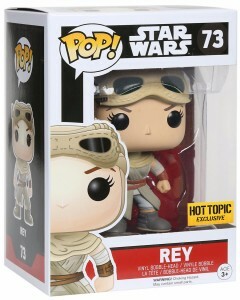 As soon as Rey was released, I was practically the first in line to get her. You can find practically any character you want as a Pop! Vinyl from Funko. Plus, they’re all equally adorable. My wife and I love these and have many of our favorite characters. We couldn’t pass this up, or the other one. 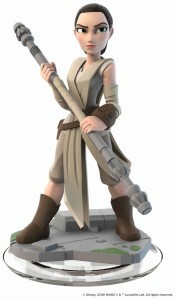 You can be Rey in Disney Infinity. The best version of this game yet, Disney Infinity has really found a great footing and has tons to explore! 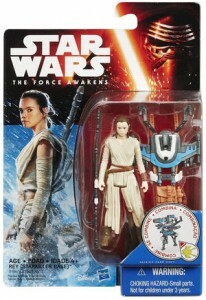 You can find a LEGO version of Rey here, and she’s also included in the Force Awakens Lego Millennium Falcon! These figures come attached to bases. They’re approximately 4″ tall (except for BB-8). 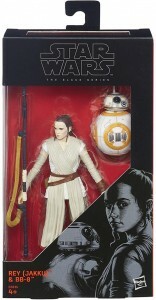 HotToys makes the world’s best, highly accurate, fully detailed action figures in the world, and their Rey and BB-8 set is no different. Absolutely beautiful. If HotToys wanted to send me a sample, I wouldn’t complain. 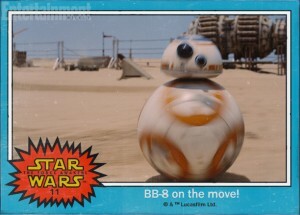 It’s available in two variations.. one with and one without BB-8. 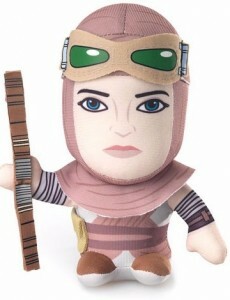 This is a figure that stands over 9 inches tall! 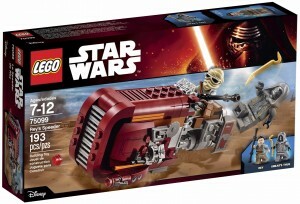 It’s part of LEGOs’ new buildable figure line. It is available starting January 1, 2016. Start the video and then go to 2 hours and 5 minutes to get to the Force Awakens panel! Watch 30+ Hours of Star Wars Celebration this Weekend! 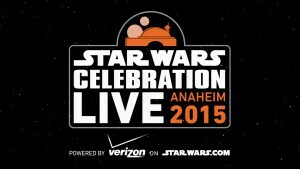 Star Wars Celebration is happening starting this Thursday. It is kicking off with a Star Wars: The Force Awakens panel that may feature new footage from the film! It’s also possible that the trailer that is attached to Avengers: Age of Ultronwill be shown. For the first time ever, highlights and more than 30 hours of exclusive video content from Star Wars Celebration Anaheim will be officially live streamed to a worldwide community of fans on StarWars.com, all powered by Verizon. 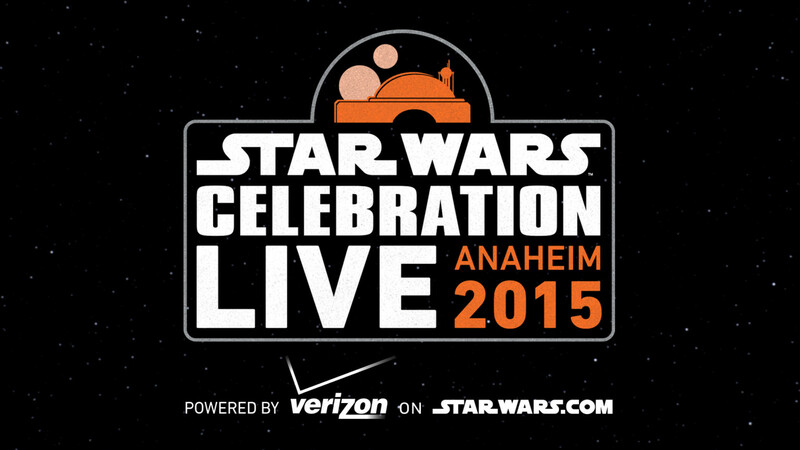 Launching with a live stream of the highly-anticipated kickoff panel featuring Star Wars: The Force Awakens director J.J. Abrams and producer Kathleen Kennedy, the StarWars.com Celebration live stream powered by Verizon will continue providing coverage throughout the four-day event from a specially-designed Star Wars Cantina set located in the middle of the action on the convention floor. Verizon and StarWars.com will deliver 30-plus hours of live streamed content following Thursday’s Celebration kickoff, featuring over a dozen panels and events, including discussions with actors Mark Hamill, Carrie Fisher, Anthony Daniels, Billy Dee Williams, Ian McDiarmid, and several other performers associated with the Star Wars saga. Additionally, StarWars.com and Verizon will be live streaming the Star Wars Fan Film Awards; theSmuggler’s Bounty radio drama; EA’s new Battlefront videogame; and several other exclusive Celebration events that might otherwise be missed by members from Star Wars’ global fan community. Between the live, on-stage events, StarWars.com will feature live interviews with celebrity guests within the Star Wars Cantina set specially built to capture the mood and atmosphere of the infamous Mos Eisley watering hole from A New Hope. These segments will have a fun, variety show flavor to them that brings a bit of the Star Wars Celebration vibe to those enjoying the event from afar. Exclusive clips from throughout Star Wars Celebration event will also be available on demand from Verizon, allowing fans to celebrate Star Wars long after the live streams are over. The live streaming begins at 10:00 a.m. PST, Thursday, April 16, on StarWars.com with the Celebration kickoff panel and continues with 30-plus hours of coverage through the closing ceremony on Sunday, April 19, beginning at 3:30 p.m. PST. Watch exclusive highlights and on-demand clips from Verizon on Twitter,@VerizonWireless, and at Facebook.com/Verizon. 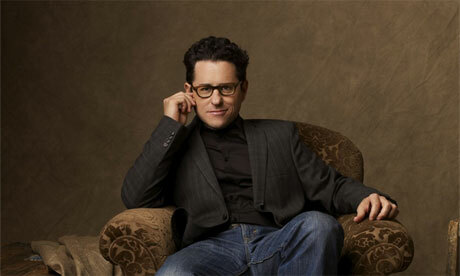 J.J. Abrams has directed what is, since The Hobbit, the most anticipated movie coming to the big screen. It is possibly the most anticipated film of at least three generations of fans, as it’s a sequel where anything can happen, and we don’t really know what’s going to happen. 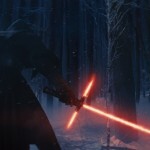 Here, Abrams addresses response to that lightsaber seen in the Star Wars: The Force Awakens teaser. He’s having fun seeing the positive and negative reactions, and said that people have been having the same conversations they had early on about this lightsaber that started as a design, but the conversations were in reverse. How were they in reverse? Good question. Abrams also mentions that he’s executive producing Episode VIII and Episode IX, and that Rian Johnson is director on at least the next one. This is something that a lot of people seem to miss. Rian Johnson may not direct Episode IX. Those duties may return to Abrams or go to another director. There will only be one exciting sequence in IMAX but Abrams won’t say what is involved there. He said it’s a fun one. They’re also still cutting the movie and haven’t seen the movie together yet. He also mentioned that while they did build sets and do practical things as much as possible, using the Sun for lighting when outside, and things like that, there’s an incredible amount of CG in the film. He mentioned that a lot of the CG used is to remove things from shots. After that, they moved on to the next Star Trek film. He said that he’s not really sure that it’ll be Star Trek 3, but more of a Star Trek: Adventures in Space. It is possible that it won’t be a direct sequel to Star Trek Into Darkness, and instead more of a singular adventure. 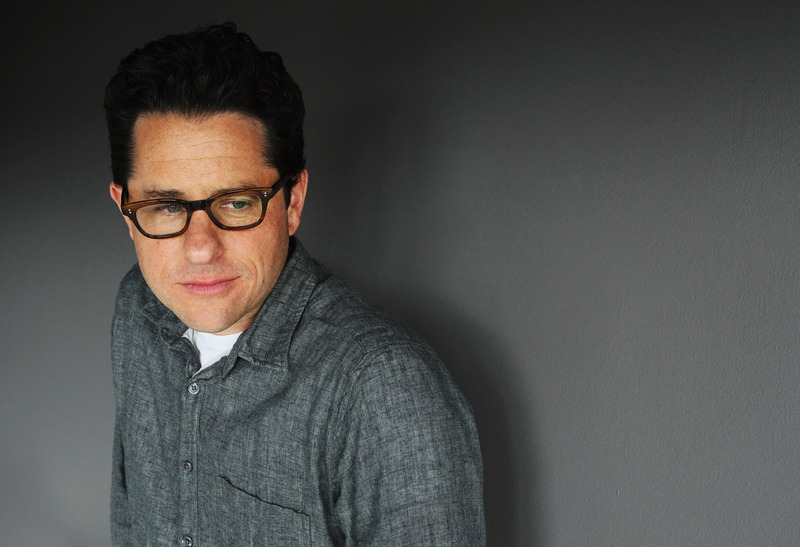 J.J. Abrams spoke with MTV about Star Wars: The Force Awakens. Here are a couple of quotes. 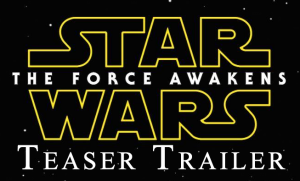 Star Wars: The Force Awakens Character Names Revealed! 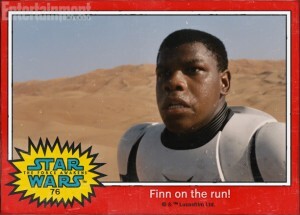 The first round of characters from Star Wars: The Force Awakens have been named. Interestingly, but not surprisingly, the characters named are the ones that appeared in the teaser and no more. 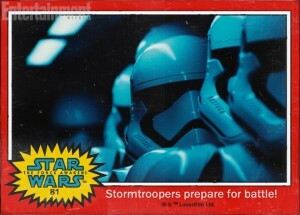 J.J. Abrams went on record saying that the numbers on the cards are significant, but without explaining why. If I were to speculate, I’d say that the numbers correlate to when scenes depicted in the film take place within the overall story of the movie. There’s a photo going around that people want me to share here, in the hopes that Abrams himself will see it. I doubt that Abrams even knows this website exists, but I’ll relent. First, I will explain why I think there’s nothing wrong with the current Lightsaber, and then the problem with my thoughts on it. The lightsaber has the cross beams, and people are saying “well that’s not going to stop any blade from sliding down and slicing through the hilt.” What if the material the hilt is made out of can stop the blade? 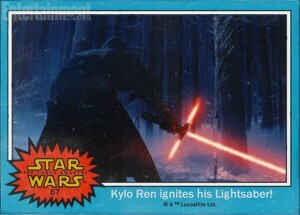 It seems that it can focus the blade in whatever direction, so it stands to reason that it could also deflect the blade of another lightsaber. Argument against? Other lightsabers have been sliced in two, including Darth Maul’s own double bladed lightsaber. Argument for? According to super geeky source material, there are materials in the Star Wars universe that may deflect or even short-circuit a lightsaber blade. The substances are phrik, cortosis and Mandalorian iron. In fact, Emperor Palpatine’s own lightsaber was made of phrik, as described in the Star Wars: Revenge of the Sith: The Visual Dictionary. Therefore, the material the cross beam is made out of could very well be that same substance. Problem solved. 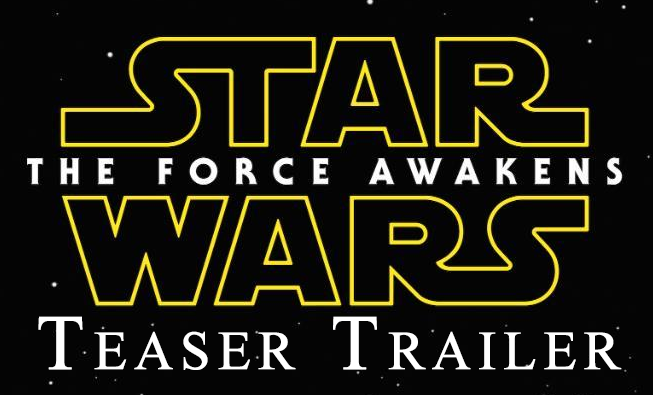 The first teaser trailer for Star Wars: The Force Awakens is imminent. 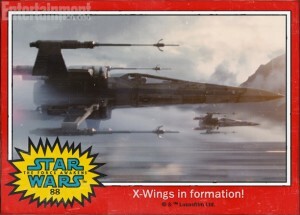 Rumor has it that it will be showing up sooner than we think. Last weekend, John Williams may have even recorded new music specifically for the teaser. 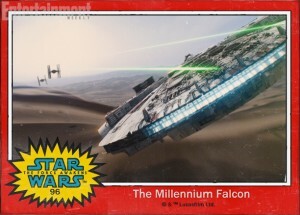 And then the title card appears – Star Wars: The Force Awakens – and we see the Millennium Falcon, firing blasters, coming right at the camera. There are some other trailer descriptions out there, but as I’ve said before, if this turns out to be true, it’s only based on the teaser and not really spoiler material. I’m trying to keep myself spoiler-free for the movie as much as possible, only watching trailers and viewing official photos and posters released from LucasFilm/Disney. 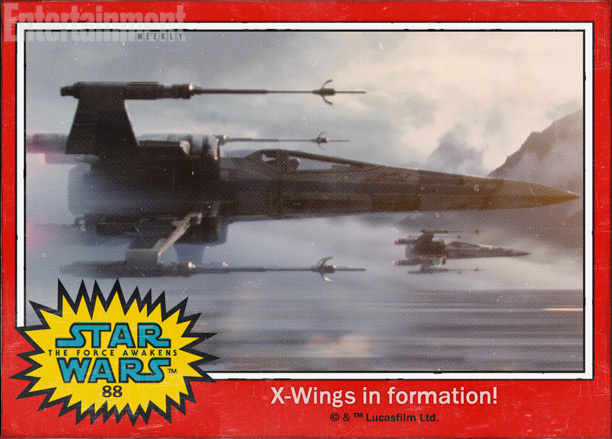 With the completion of principal photography on Star Wars: Episode VII comes the official title of the film.